New Legislation in effect August 13th, 2012! The Financial Crimes Enforcement Network (FinCEN) which is a bureau of the US Department of Treasury, has published a final rule that requires non-bank residential mortgage lenders and originators to establish Anti-Money Laundering (AML) programs and file Suspicious Activity Reports (SARs) with them. If your company makes residential loans; is named as the person to whom residential mortgage loans are initially payable; sells manufactured homes using a retail installment contract; helps consumers complete credit applications; reviews the contents of a credit application; relays loans to/from consumer or residential mortgage lender; discusses specific financing terms with consumers, your company is covered by the FinCEN rule to have an Anti-Money Laundering Program (AML) and a Suspicious Activity Reporting Policy (SAR). *Note that this is NOT related to the SAFE Act and the NMLS registered Mortgage Loan Originator (MLO) program. *The New York Housing Association makes no warranties or guarantees, either express or implied, with respect to the content, products and services provided by either the Manufactured Housing Institute (MHI), Rainmaker Consulting or the Rishel Consulting Group. The Association shall not be liable to any member or other party for the use of the information, products or services provided, and expressly disclaims all liability arising therefrom. The report for May 2012 is out and the numbers are still looking up, especially in comparison to May 2011. In fact, 5,197 new manufactured homes were shipped which is up 16.1% from May of 2011. Single-section and multi-section homes numbers were also up in comparison to last year. The shipments each month of 2012 have consistently been an increase in each month in comparison to the same time frame of 2011. From January through the month of May, the 2012 shipments have yielded 22,627 homes in comparison of the same time frame of 2011 which yielded 18,125 homes. 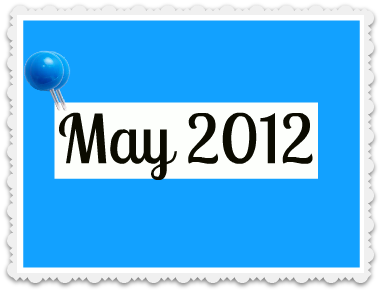 In May of this year a total of 8,032 floors were shipped which is an increase of 16.9% from May 2011. 55,982 was the *SAAR or the seasonally adjusted annual rate of shipments for May of 2012. This SAAR is up 6.3% from the of 52,642 in April of 2012. 122 plants were reported production in May of 2012. This number was down by one from April. The number of active corporations was 45 which was unchanged from the prior month. To check out the entire report go here. *The SAAR corrects for normal variations in shipments and projects annual shipments based on the current monthly total.